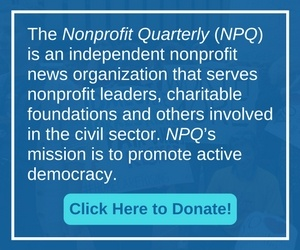 This study from six months after the September 11 attacks provides a grounded snapshot of New York City’s nonprofit organizations struggling to get back on their feet after the one-two punch of the 9/11 terrorist attack and the resulting free-fall economy. The lessons that can be drawn from it are still enormously useful—namely, flexibility and networks are what helped some even very small organizations sustain even through unimaginable turmoil and grief. As Hurricane Sandy hits the east coast, we are reminded of the phenomenal role civil society organizations play in disaster. This particular story, about the vivid experiences of the leaders of the Coastal Family Health Center in the wake of Hurricane Katrina, is a powerful epic read and a reminder about what really matters.